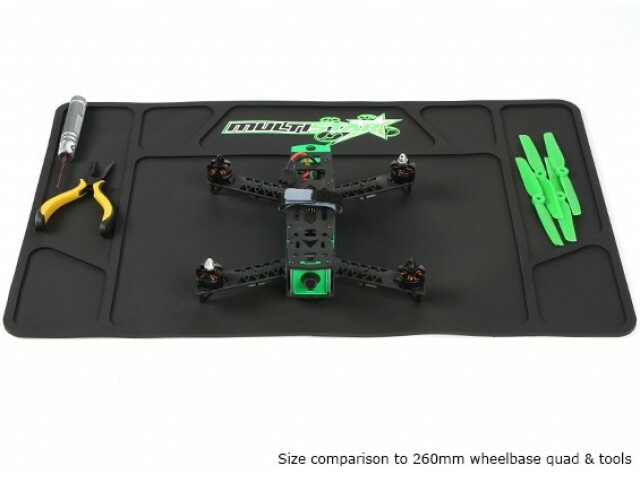 The MultiStar Work Mat is a must have for any R/C hobbyist's work bench! Made from soft, grippy rubber and featuring ribbed compartments, it is perfect for containing small parts such as screws, nuts, washers and more. 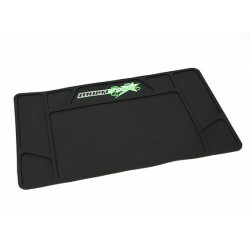 The backing is very grippy which will keep it from slipping on just about any surface. The material is very soft and flexible allowing it to be easily rolled up for transport or storage. This makes it very easy to take with you to the race or field for on-site repairs. 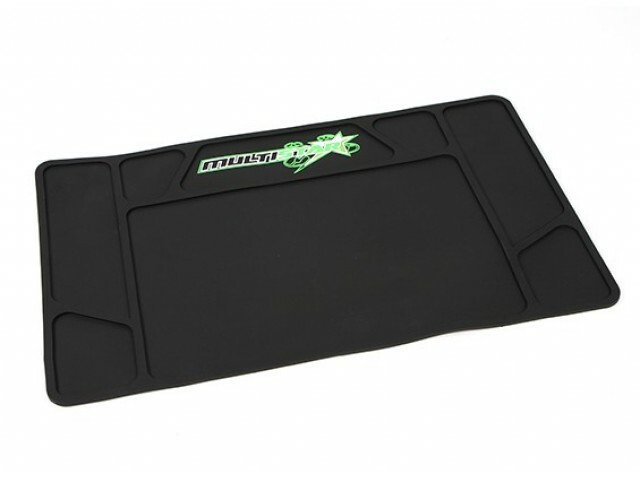 Never lose a screw again with the MultiStar Work Mat!